Adverse reactions to flu shots are very rare. There are almost as many misconceptions about the flu as there are different strains of the virus. 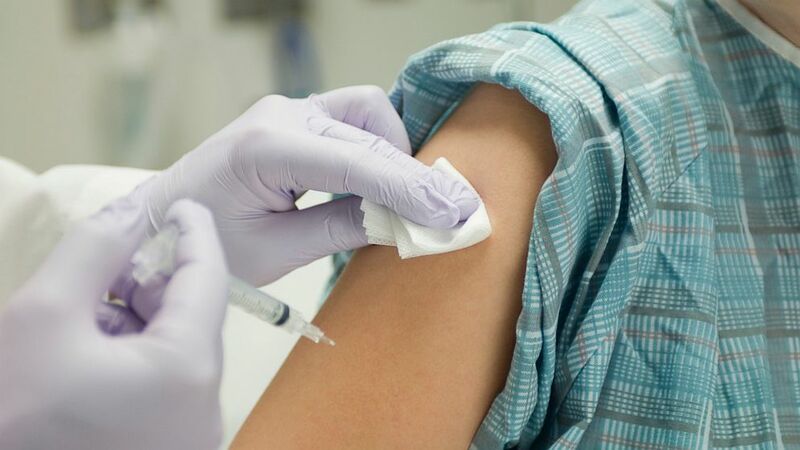 And not having your flu facts straight can be bad for your health, said Dr. Gigi Chawla, senior medical director for primary care at Children’s Hospitals and Clinics of Minnesota. To set the record straight, Chawla busts the top five flu related myths. Vaccines that come from a single dosage vial contain no added chemicals. Shots that come from multiple dose vials do contain a trace of chemical preservative to prevent bacterial growth but Chawla stressed that the amount is inconsequential. “You get more mercury from the fish you eat,” Chawla said, pointing out that, unless you are allergic, adverse events from flu shots are extremely rare. This is patently false, Chawla said. The spray mist, which contains an attenuated live virus, is too weak to make anyone sick and the shot only contains pieces of the virus and is therefore incapable of causing illness, she said. It’s true that so far this year’s vaccine has not been very effective. The Center for Disease Control and Prevention admits that the vaccine is only about 33 percent effective in preventing the dominant strain of the flu virus currently circulating. But the vaccine might still provide some cross protection, Chawla said. Flu subtypes that circulate later in the season may also be a better match for the vaccine, she said. “Kids actually are the very people we want to protect,” Chawla said. Because children under the age of 3 have an especially hard time fighting off the virus, they are most vulnerable to health complications that arise from the flu, Chawla said. “Shots are matched for age and size so there is little danger of overdose,” she said. The flu isn’t really dangerous so why vaccinate? With heavy flu activity reported in at least 43 states, the CDC said an epidemic of the virus is under way. Already 26 children have died from complications of the flu this season, the agency reported. Hospitalizations and emergency room visits are way up too. “People assume the flu is like a common cold but we expect somewhere around 35,000 people to die in the US. from the virus,” Chawla said. Although children and the elderly are most likely to have serious flu symptoms, even healthy people can succumb, Chawla said. (Getty Images) A sick woman takes her temperature with digital thermometer and blows nose in this stock photo. It’s too late/too early to get the shot. To learn more on how to protect yourself from the flu this season, join tomorrow's ABC News Tweet Chat at 1 p.m., ET. Follow ABC News Health on Twitter so you don't miss any of the latest health and medical news.